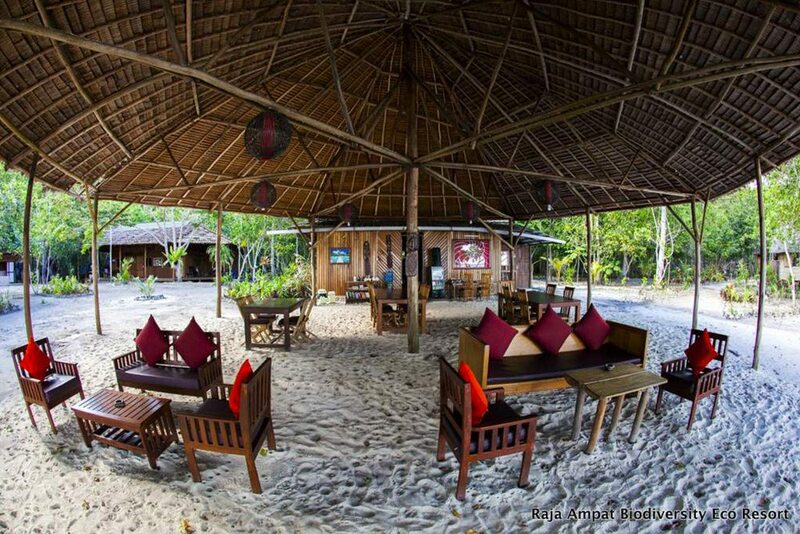 This small resort on the east side of Gam Island in the heart of Raja Ampat promotes sustainability and a true connection with the natural environment. 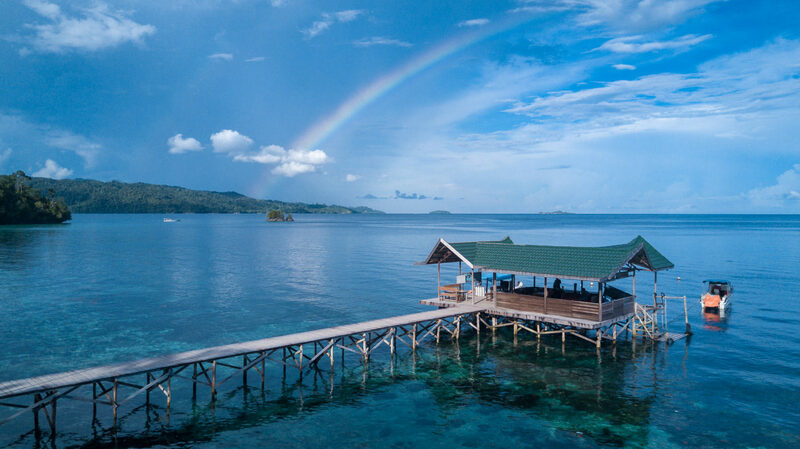 Come and experience the jungles, the coral reefs, and the beaches up close while enjoying the great value comfort and relaxation that the Raja Ampat Biodiversity Eco Resort has to offer. 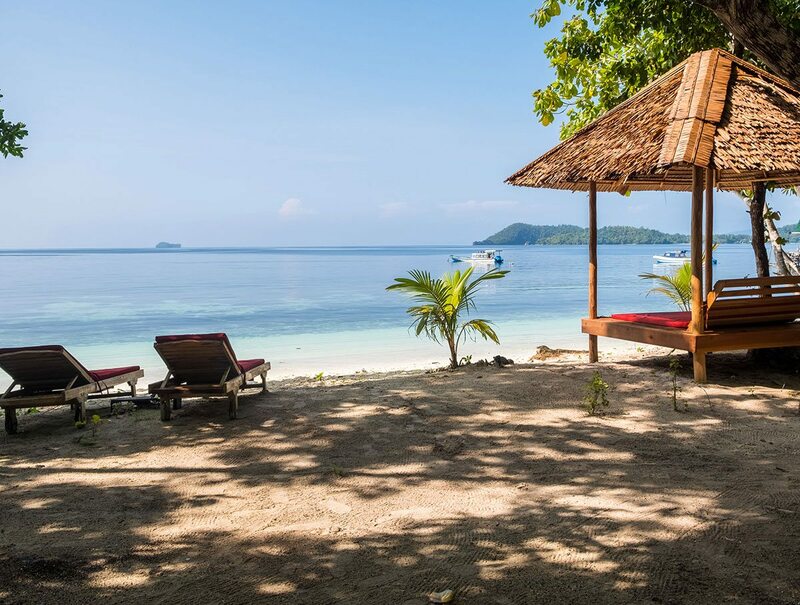 The resort offers a number of Papuan-style, beach-side cottages with hammocks and bean-bag chairs for guests to lounge around in soak up the sun. Each cottage comes with electrical outlets and attached bathrooms with bucket-style toilets and showers that maximise water efficiency. 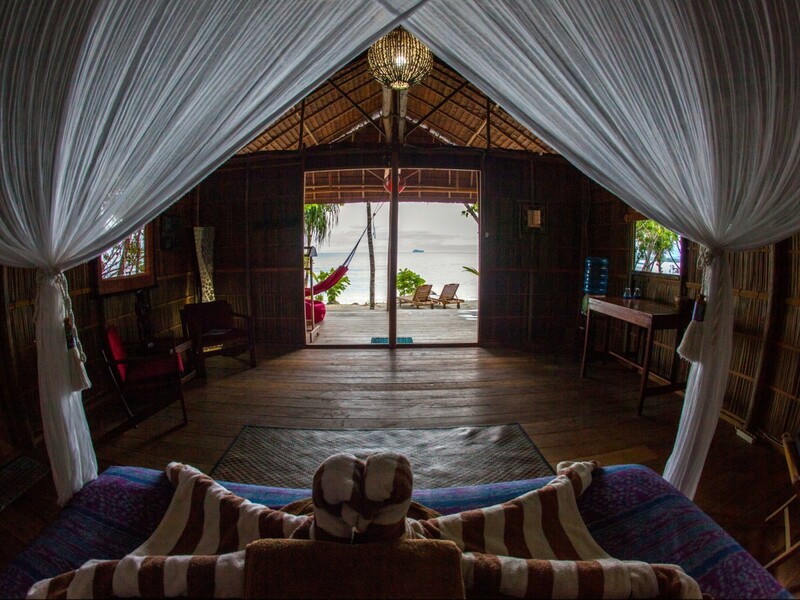 The resort has a lovely lounge area on the dock and a dining space right on the beach to ensure guests never miss the beautiful sunsets that occur daily in Raja Ampat. 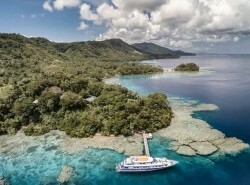 While the resort offers many diving opportunities (which is why most visitors head to Raja Ampat), don't forget to also spend some time on island-hopping day trips or a birdwatching trek through the jungle - Raja Ampat is a bird watcher's paradise too! 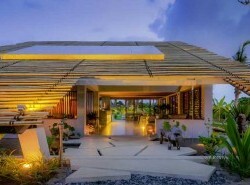 For yoga lovers, the resort offers yoga classes and retreats on the dock. 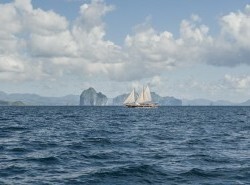 Located on Gam Island in the center of Raja Ampat, the resort offers many diverse ways to interact with and experience the beautiful natural surroundings. 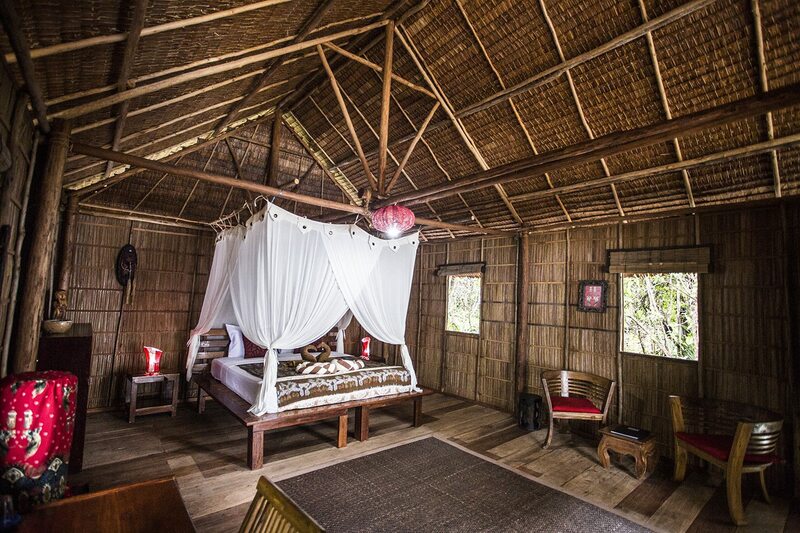 Raja Ampat Biodiversity Eco Resort has really earned its eco credentials, bringing sustainability into nearly every aspect of the operation and construction of the resort. 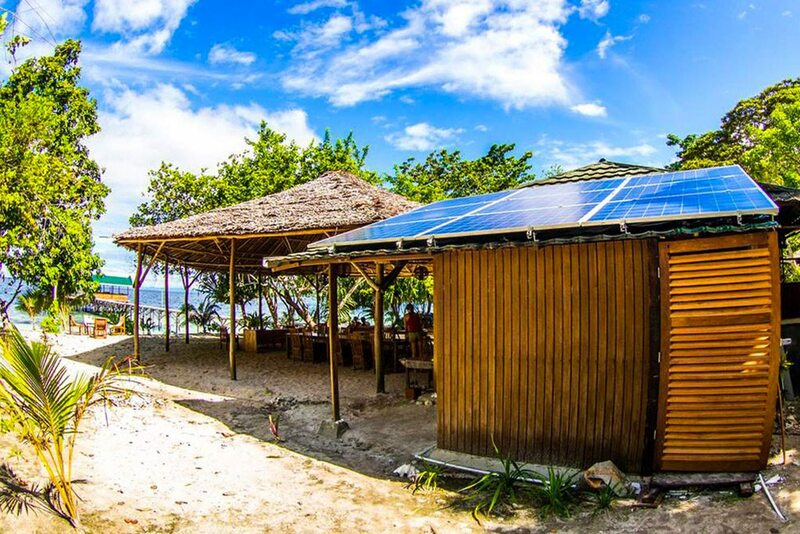 For example, since 2015 the resort has relied predominantly on solar power generated from on-site solar panels. 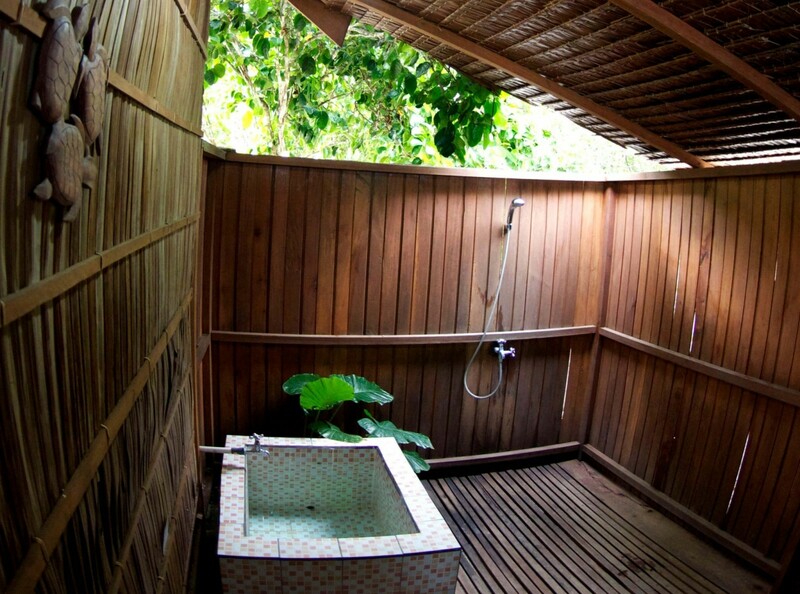 Additionally, the resort uses bucket-style toilets and showers, ensuring that water is used in a sustainable fashion. 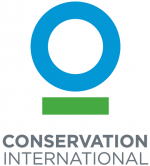 The resort also uses local materials for all construction projects, has eliminated nearly all plastic use, and implements recycling and reuse practices wherever possible.